This is huge: There will be mixed-gender events at the Tokyo 2020 Olympics. We haven’t heard news this exciting about the Olympic Games since the diverse body representation at the 2016 games in Rio. The new Olympic mixed-gender events will take place across the athletics, table tennis, swimming categories, and triathlon categories, according to BBC. This is such a giant leap forward for female athletes across the globe! 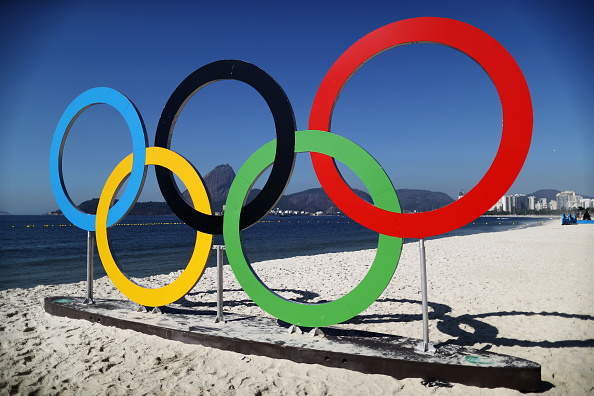 The IOC has added a 4x400m mixed relay in athletics and a 4x100m medley mixed relay in swimming to the roster of games. They have also added a mixed relay in the triathlon and mixed doubles in table tennis. To make the deal even sweeter, the IOC has expanded the schedule of events. The 2020 Olympics will be “more youthful, more urban and include more women,” said IOC president Thomas Bach. The total number of sports will increase to 33 (that’s five more than in 2016). Now, they’ll include baseball/softball, karate, skateboarding, surfing, and sport climbing. As Thomas said, many of the new categories are geared toward a younger demographic. Additionally, the number of events will increase by 15. There are the mixed gender events, of course, as well as two new cycling events for men and women, and a three-on-three basketball round. Cycling will also gain freestyle BMX and the madison, which will push it to the third largest category in the Olympic Games in terms of medals. There are now 66 chances for cyclists to bring home the gold. We can’t wait to tune in and watch these exciting new changes in action!